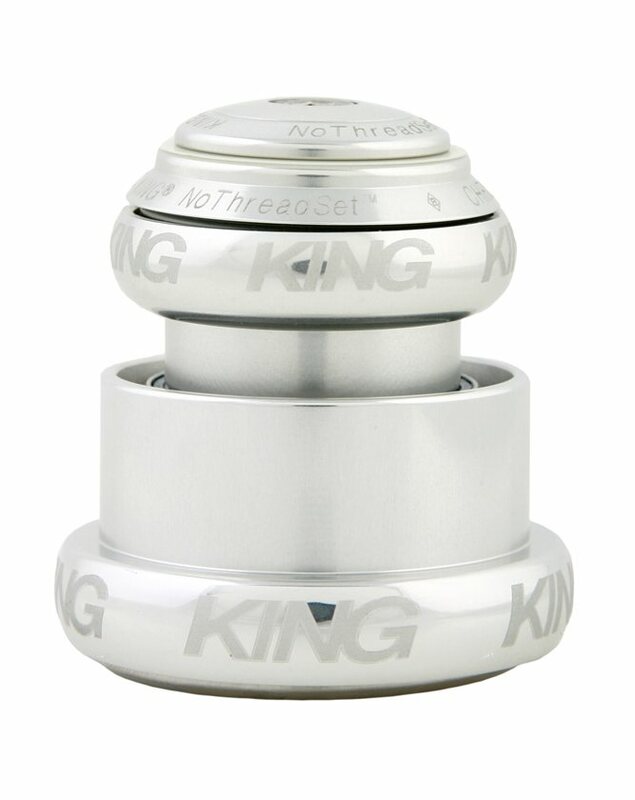 Chris King designed the first sealed bearing headset in 1976. Thirty-four years later, the King headset remains a benchmark for quality. 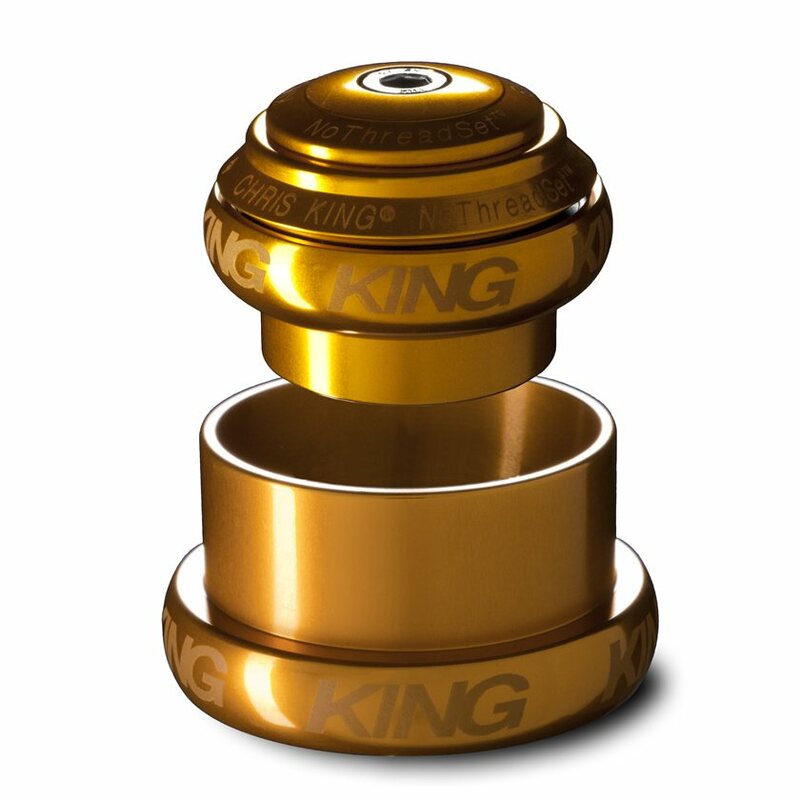 No other bicycle component can claim the precision, performance and absolute reliability of a Chris King headset. At Chris King Precision Components, they manufacture each headset in their own facility to exacting standards, using quality-at-the-source methods to minimize waste. Even the sealed, cartridge style bearings are made in-house and are hand-checked. Whether you are on the road or in the dirt, Chris King's classic NoThreadSet is an iconic addition to your bike. The NoThreadSet has seen glory underneath world cup XC racers, gravity riders, and has even ridden into Paris under the Yellow Jersey. Headset Spec: EC34 Top / EC49 Bottom, for 1-1/8" top to 1.5" bottom tapered forks. The website was difficult to follow to see if the top cup would fit for sure. At first bought a Chris King Inset 3 which I thought was the right size. I have a leader 725 frame with a leader i805 fork. The headset I have right now I believe is an fsa integrated headset. Just wondering if this headset would fit my bike or which Chris king headset would you recommend ? BEST ANSWER: Unfortunately Chris king does not make an integrated headset. You're limited to cane creek and FSA headsets. Is this EC34/EC44 version of the stem? BEST ANSWER: Hi, this is the EC34/EC49 version of the headset. I believe you're looking for a mixed EC34/EC44 configuration that we don't carry, but if you give us a call we can get you the correct one you need from Chris King.